One of the most prestigious medical and medical research groups in the world has selected Alberto Friedmann, Indiana State University assistant professor of exercise science, as its latest fellow. In January, Friedmann was named a fellow with the Royal Society of Medicine in London, England. Fellows, both medical and research professionals, can be invited into the organization based on the impact of their research or practice. To be considered, fellows must also meet a rigorous level of professional requirement. Established in 1805, the Royal Society of Medicine's fellows include Charles Darwin, Louis Pasteur, Thomas Addison and Sigmund Freud. "Professionally, this opportunity certainly will give me access to a lot of contacts in the field and that could open a lot of new doors," said Friedmann, who learned via email that he was invited to be one of the organization's overseas fellows since he is not a British citizen. "It's a surprising and exciting opportunity. "For me, personally, the most exciting part is that the Royal Society has the largest medical library in the world and the largest journal collection in the world, and I now have access to all of that. It's an immense amount of knowledge that I otherwise wouldn't have access to." Friedmann isn't sure how he got on the society's radar, although he speculates the invitation came as a recommendation from someone familiar with his research in stroke rehabilitation. Specifically, he studies how the human brain connects to the body and how the body communicates with the brain in order to get the brain and body properly communicating again. "I'm hoping this opportunity will help in finding grants and funding for research," he said. 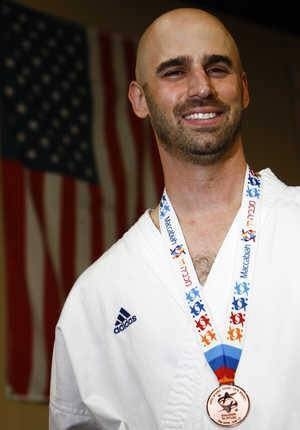 After working 12 years as a journalist who was honored as a top journalist four years in a row and top columnist three years in a row, Friedmann enrolled in Southern Illinois University-Edwardsville's exercise physiology master's program and went on to study kinesiology at the University of Missouri-St. Louis. He has lived in Japan, lectured in the Caribbean and Europe, and traveled to Korea as an athlete on the U.S. Martial Arts Team. Friedmann was training physicians in pulmonary medicine in Aruba before coming to Indiana State. "Dr. Friedmann is the epitome of the scholar-teacher, and this invitation to the Royal Society of Medicine reflects his dedication to the discovery and transmission of knowledge," said Caroline Mallory, dean of the College of Health and Human Services. "Scholar-teachers like Dr. Friedmann are the heart of universities and the College of Health and Human Services is proud of his accomplishments and grateful for his support of students."